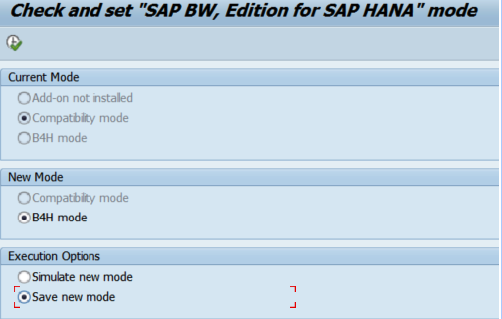 In brief my colleague Claire Richards and I have embarked on a journey to upgrade BW7.4 to BW4/HANA. Claire is performing the BASIS tasks, whereas I am doing the BW tasks. 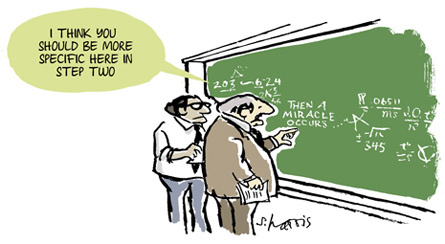 I notice SAP are now blogging this On the Road to BW/4HANA – first stage accomplished. There a many screen shots and depending upon what you are doing, you do not need to read this chronologically. Notice we do not have any BI Content – BI_CONT installed. we do not have the ability to create BW classic objects. Creation of the newer objects are performed using the eclipse modelling tool. I did my due diligence and checked my Data Archive Processes (DAPs) still worked, so all was good there. Nothing to report. 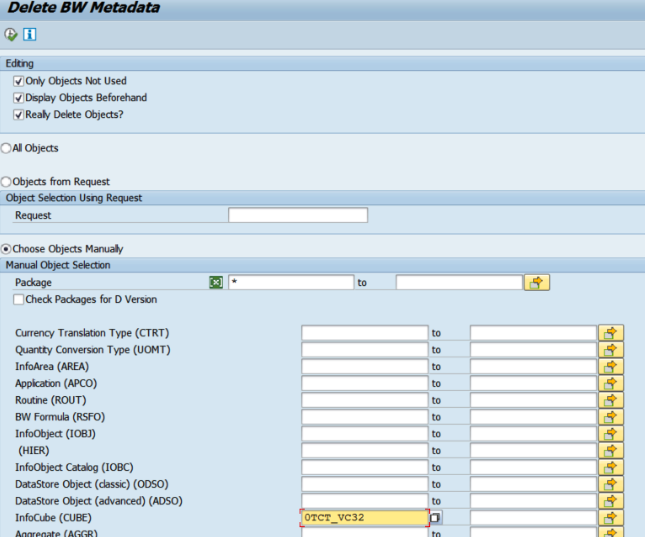 Note: This version does not have the “Check transport request” option, as I believe a later version may (BW7.51). This process is important, as it determines if the system can be B4H enabled. 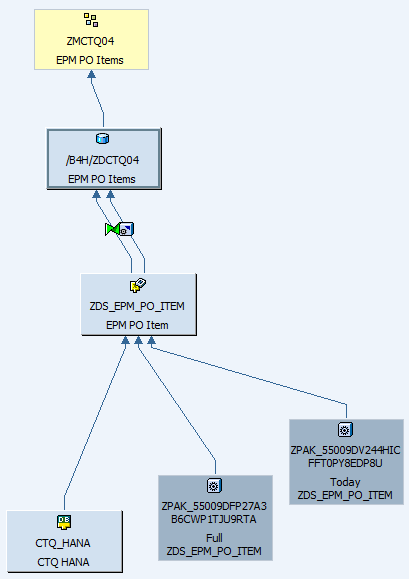 Having identified the objects that are not ready for B4H, we would then branch off and use the various tools/programs/transactions to either convert to B4H ready objects, or simply delete them. I have identify the current tools, and give a flavour for their uses. The system now shows “Current Mode” is in “Compatibility mode”. This occurred automatically by installing the Add-on. 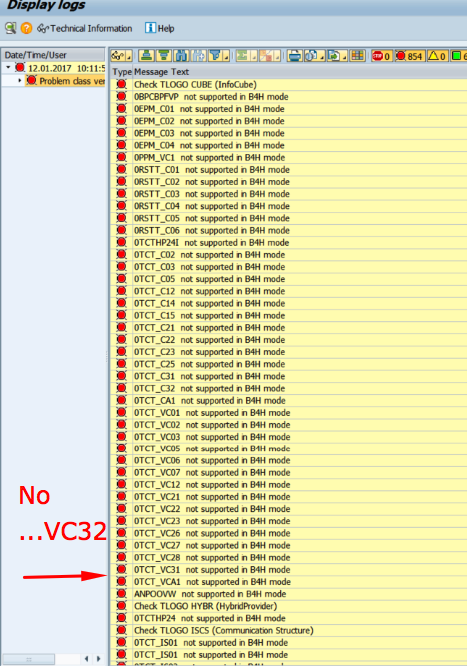 “Compatibility mode” will stop BW’s older classic objects (e.g. Cubes, DSOs) from being created. But, the classic objects still can be used. As I have tested with my NLS tests above. We now have the option “Save” into “B4H” mode using “Save new mode”. The only mode available is “B4H mode”. 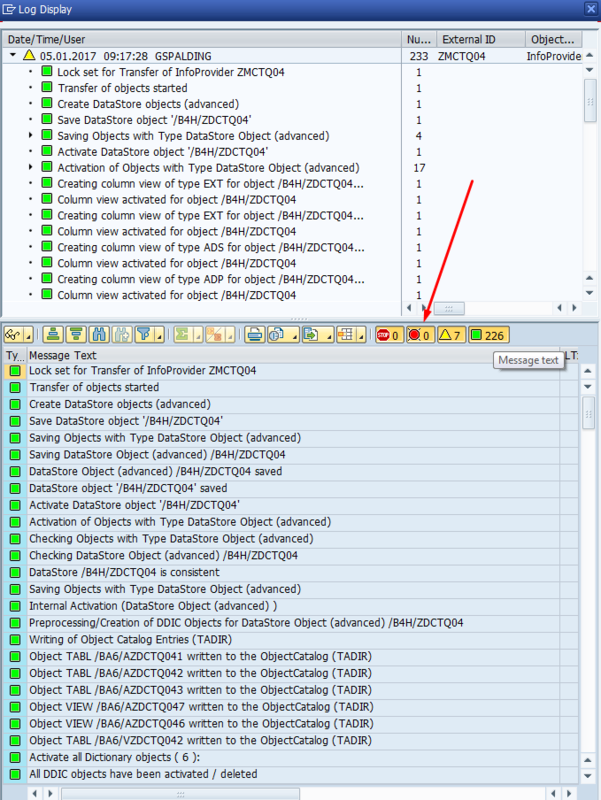 To be able to “Save” there must not be any errors (red objects). It is not necessary to “Save” to perform the remaining tasks to switch to B4H. If there are no errors, and no “Save new mode” execution, the B4H upgrade will still work. 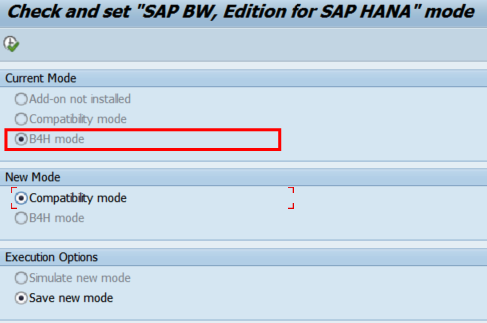 Once upgraded to B4H, the system cannot be returned to BW on HANA. Performing a “Simulate new mode” gives the exactly the same error output as when the Add-on was not installed. No change there. 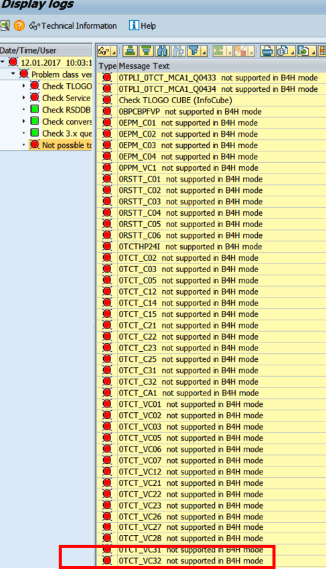 When the system is finally removed from all classic non-compatible B4H objects (see various sections below), running the RS_B4HANA_CHECK_ENABLE once more, will return all green. We can set the “Save new mode”, although this is not mandatory for switching to B4H mode, in the next coming stages. If you run the check program again, it now says current mode is no longer compatible mode but B4H mode. At this stage, I can now give the system back to our BASIS team, to run the next B4H upgrade stage. 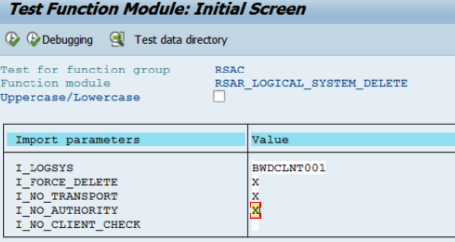 After installing the SAP notes 2384088 and 2385887 the program RS_DELETE_D_VERSION_FOR_TLOGO can now run. 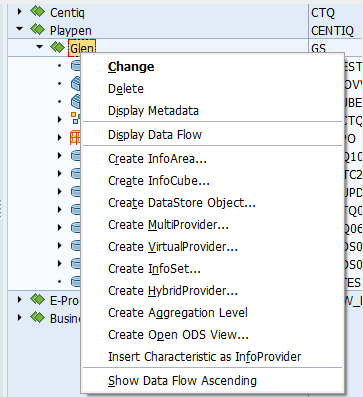 At the moment, I cannot see where Customer and Non-Customer objects are differentiated, if even, they need to be. Only there are two SAP notes 2384088 and 2385887 for SAP and Customer content respectively. I looked into the contents of each note, and there seems to be the same program – RS_DELETE_D_VERSION_FOR_TLOGO, for each. I tried to run this in “EXE” mode, but it returned and message saying, I needed to be in “B4H” mode. 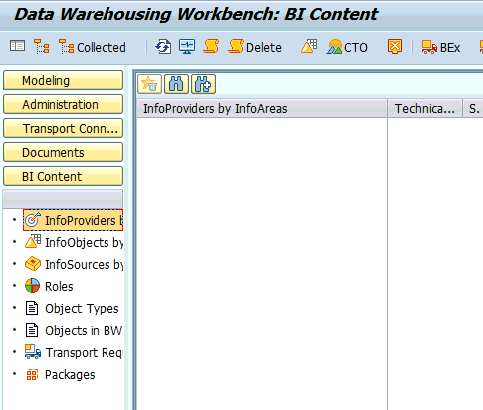 So I think this is more of a clean-up program that deletes the old “D” version BI Conent from the database. I returned to this program after the BW system was put into B4H mode. 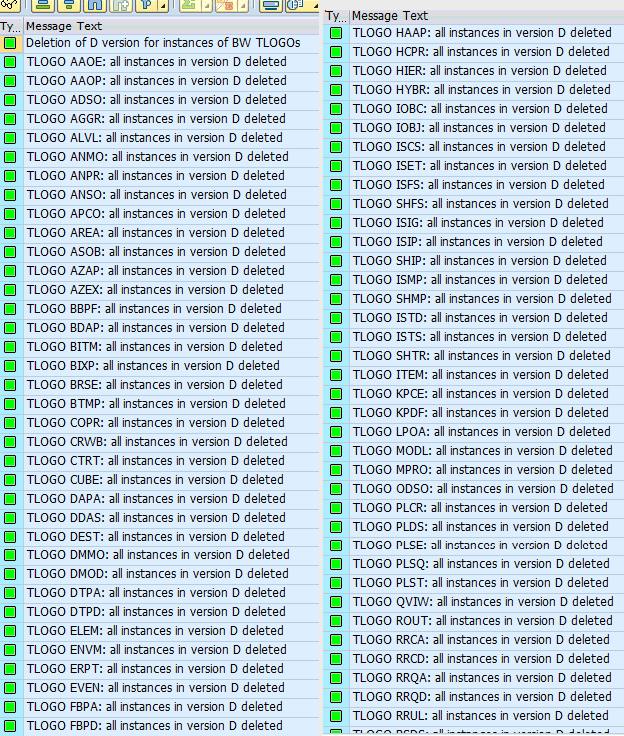 I ran it, and it deleted all the ‘D’ (Delivered) versions of TLOGO objects. It DOES NOT prompt for specific objects on a selection screen or otherwise. It just goes off and deletes them. This transaction, now with the Starter Add-on installed, works. At this time of writing (16/12/16) there are no notes on how this transaction works. An important aspect of this transaction is that it DOES NOT transfer the data. 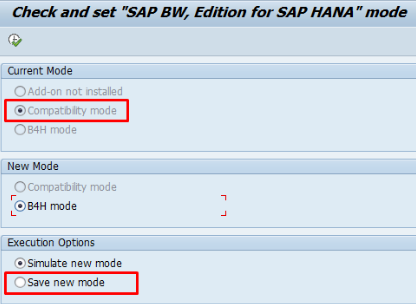 Then I found this SAP Note 2238220 and there are few SAP Notes to implement. I went away and downloaded six notes, but none of them where reporting, from SNOTE, to be implementable. Update, my colleague Lee, found to be an issue with the code. In short, a bug, so this is how you get over it. 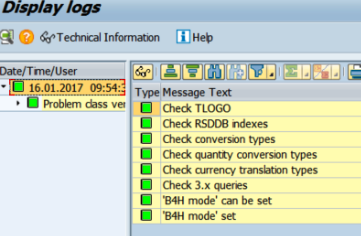 Naviage to SE06 – Post-Installation Actions for Transport Organizer -> System Change Option, Namespace/Name Range section of the screen and set to modifiable, not only /B4H/, but also /BA6/, see below. I would not recommend doing the same, as you will see later, the conversion put the new objects into ‘/BA6/’. Interesting things to note, that can be also seen in the transfer definition. with the main differences being the CompositeProvider and the aDSO. To get data into the new aDSO, is easy enough to create a Transformation from the old DSO into the new aDSO, then a DTP, then run the DTP. 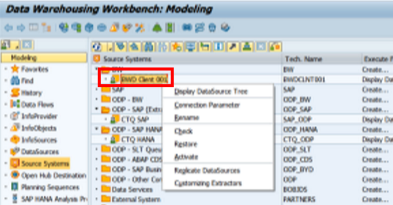 Increase the memory capacity of the HANA instance. We are using Cloud AWS for our instance, so this was not a problem. 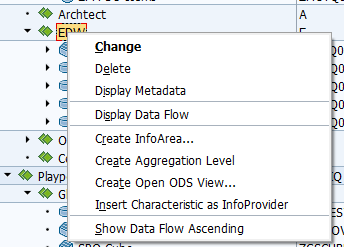 My default settings for the DTP were Delta, but I changed that to Full so I could delete the Transformation and DTP, to the old DSO after the data was loaded. 1,000,000 records for Packet Size. Trigger Database Merge was checked. In my example above, you can see I originally appended the text “Converted B4H”, and performed a “Save”. I then performed a “Reset Definition”, and once again “Definition of Target Objects”, to note the default values were put back (i.e. my appended text was gone). 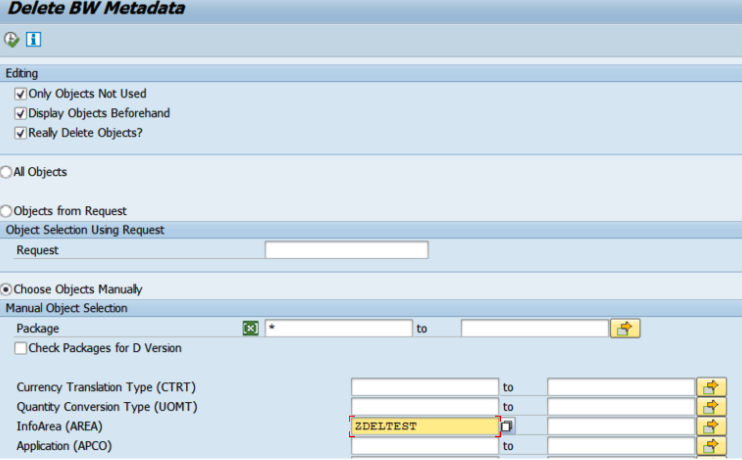 Rather confusing, the “Target InfoArea” field location has nothing to do with the “Reset Definition”. 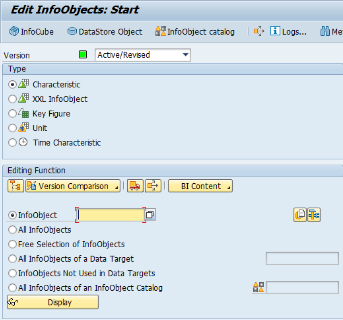 In the example above, you can see that the Target converted object is saved under the InfoArea specified in this field, and not in the same InfoArea as the Source object, by default. Earlier I mention we had to make the namespace ‘/BA6/’ modifiable to get the transaction to work. I checked some of the converted DSOs to aDSO, and found they were created under the ‘/BA6/’ namespace. This program is useful if you need to mass delete objects. Obviously, use with extreme caution. Use this to delete ‘A’ (Active) versions. If you wish to delete ‘D’ (Delivered) versions, you can do so with RS_DELETE_D_VERSION_FOR_TLOGO. 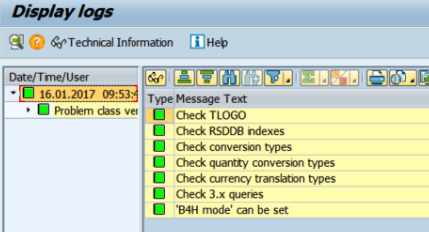 Having identified the objects that need deleting in RS_B4HANA_CHECK_ENABLE, after they have been converted using RSB4HTRF, we can use RS_DELETE_TLOGO. One thing to note, put thought into the sequence of objects to be deleted to prevent situations of being unable to delete other objects due to missing object dependencies. Don’t delete info sources or transfer structures before deleting data sources. 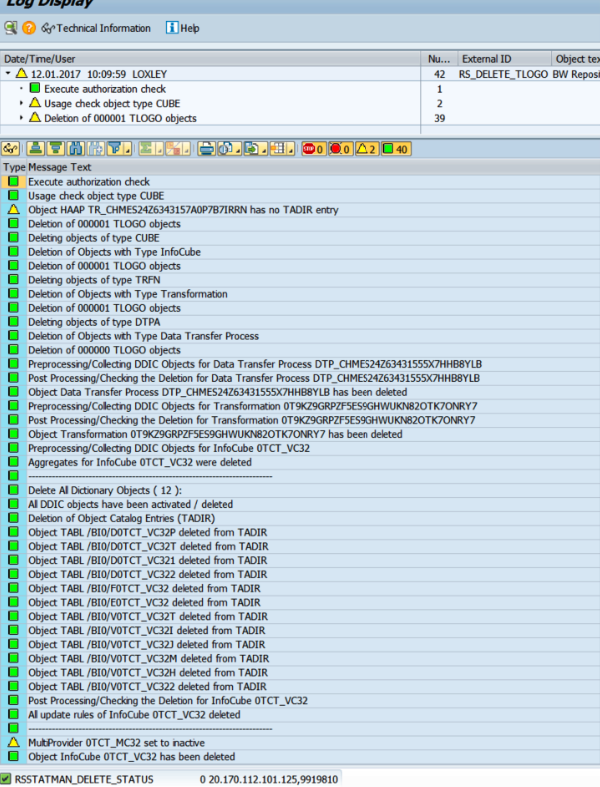 So, to perform some mass deletions with some sense, we downloaded the results from RS_B4HANA_CHECK_ENABLE as a text file, and cut and copied the object texts into the selection screen of RS_DELETE_TLOGO. We got a short dump deleting a hybrid provider – 0TCTHP24, but the object appeared deleted, as it could no longer be seen in RSA1. The delete program does not have an option to delete communication structures (ISCS). 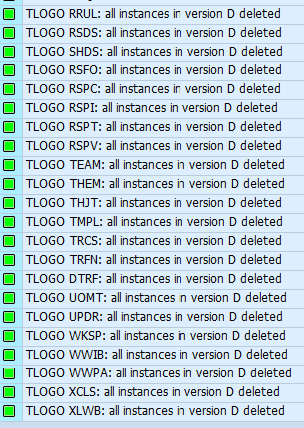 These are deleted when the transfer structures (ISTS) are deleted. The does not work for 3.x data sources (ISFS), transfer rules (ISMP), or update rules (UPDR). As with InfoAreas (AREA) tried earlier. It says no objects selected. The same message is received if the ‘only objects not being used’ checkbox is not set. 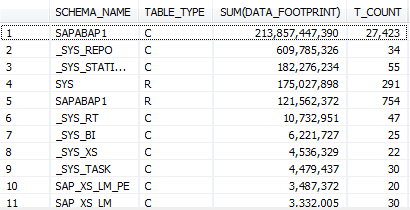 It does not work for 3.x data sources as they exist in a modified but not an active version. 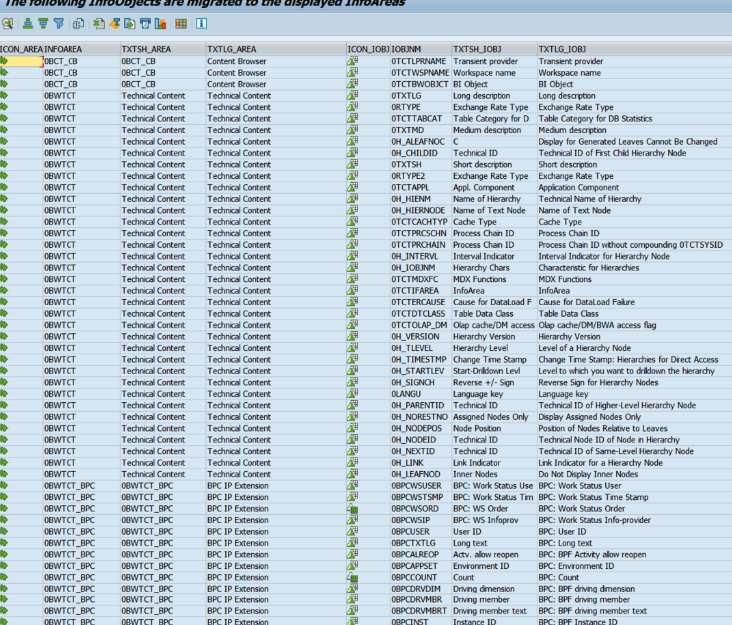 The deletion program worked on 3.x data sources after re-installing some from content. 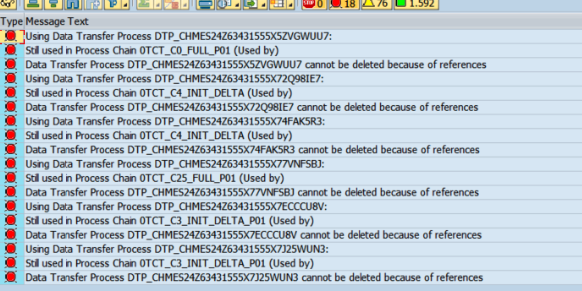 It may be a good idea to make sure objects are active, before commencing deletions. Here are some inconsistent errors we got due to deleting objects in the wrong order, with dependencies. Dashboards do not have a selection option in the program, so we found the program class method CL_RSXCLS_STATIC_DB_INTERFACE->DELETE to delete them. As you can see, it did get rather messy and cumbersome, but in the end, we managed to remove(delete) the necessary objects. B4H uses ODP SourceSystems instead of the conventional Logical SourceSystems. In our case, we simply deleted them, along with the PSAs. There is no option to delete the myself source system within RSA1. 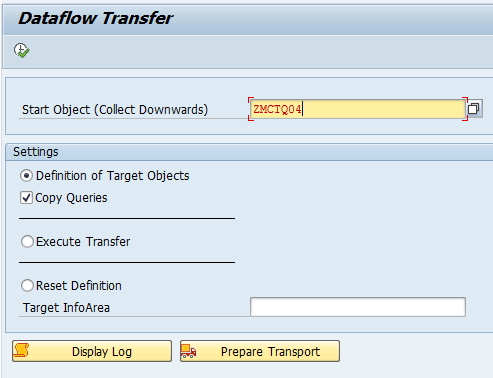 You are running the migration from InfoObject Catalogs to InfoAreas. 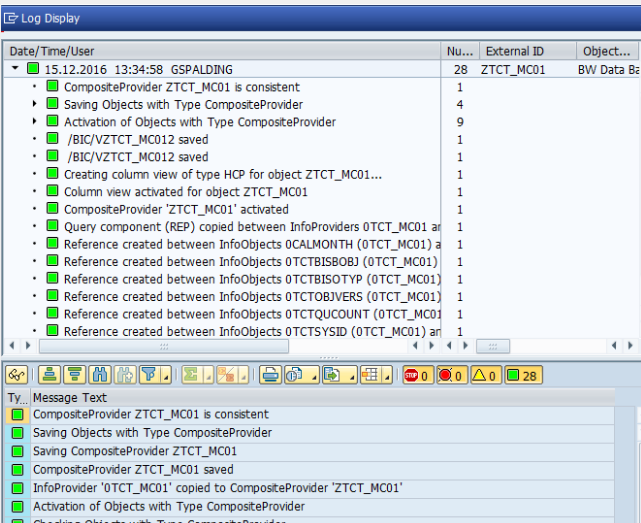 Afterwards InfoObjects are assigned to InfoAreas directly and InfoObject Catalogs cannot be used anymore. Running the migration does also have an effect on the authorization check for InfoObjects. Once the system is migrated the old InfoObject authorization object S_RS_IOBJ becomes obsolete. 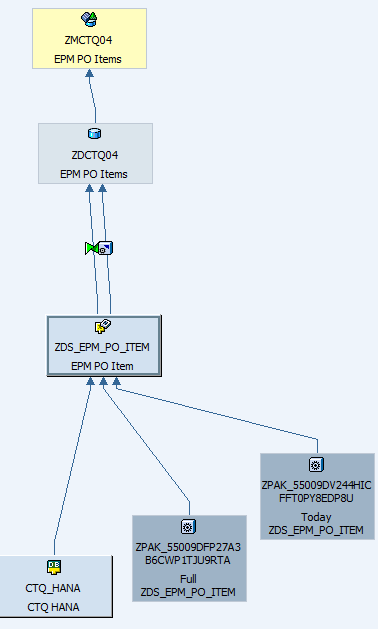 A new authorization object S_RS_IOBJA is then used instead. You probably have to maintain authorizations for your users using this authorization object to again provide access to the InfoObject’s metadata and data. Please note that the general check for the authorization object S_RS_ADMWB with field RSADMWBOBJ and value INFOOBJECT are not affected and do not change. No adjustments are required here. The migration took a couple of seconds. This is more of an FYI. 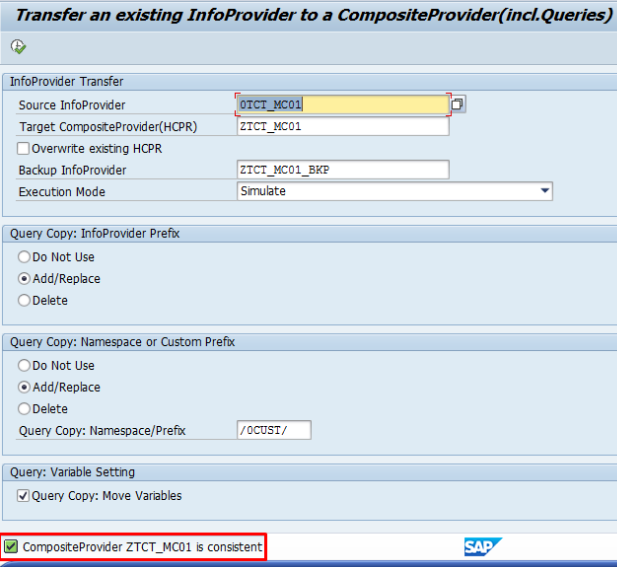 Transferring InfoProviders and Queries to new Composites do not error now, with the Starter Add-on. This only works for the InfoProvider and Query. The underlying persistent object remains. I’m not suggesting you do this, but i will use Technical Content as an example, specifically 0TCT_MC01 MultiProvider, to perform some tasks and get a feeling for what is involved. 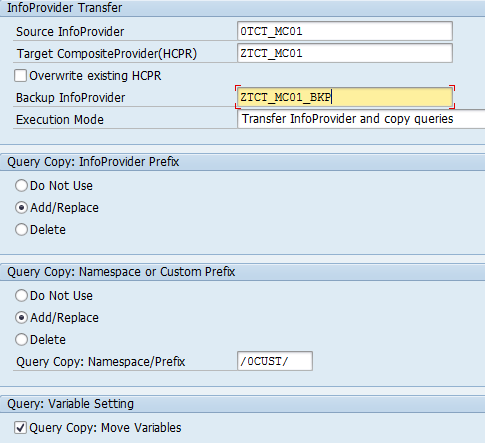 There is a lot of flexibility when choosing the options for the name of the Query that is going to be copied. You can see from my example below, albeit a bad example. Expected error because of the namespace I chose. That about sums up the tasks for conversion into B4H mode. – No Add-On is allowed at this time with BW/4. 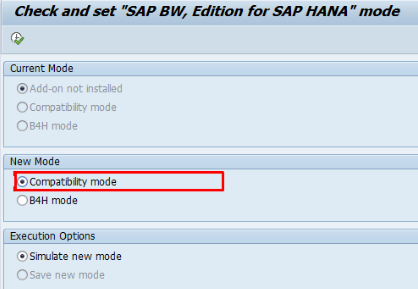 So you have to get rid of the Bank Analyzer and the SEM Add-On which doesn´t have an official un-install at this time to activate the BW/4 Starter Add-On finally. Q2/2017. Currently you must do that step somehow manually for all existing DS. Furthermore you have to make sure, that your connected SAP Source System are compatible. Nice document, good information – figured out the issues I needed to resolve. You had mentioned in your post, (“Compatibility mode” will stop BW’s older classic objects (e.g. Cubes, DSOs) from being created. But, the classic objects still can be used. As I have tested with my NLS tests above” ). Can you let me know if the data can be loaded to classic objects (info cubes) in compatibility mode and also if they can maintained (updated ? ).